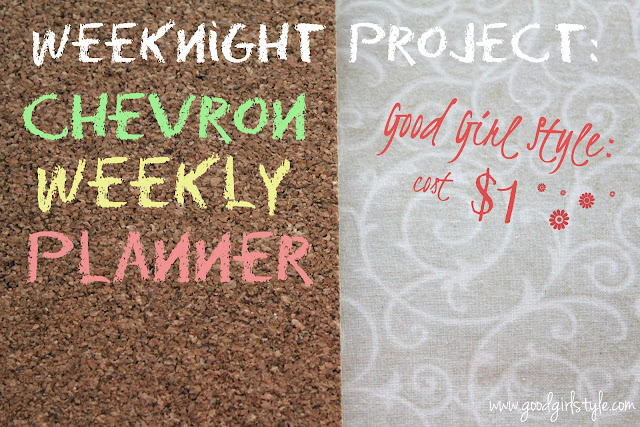 I love that Weeknight Projects are usually super cheap or free. This one? $1 or free if you happen to have a cork board laying around. I grabbed mine at the dollar store. 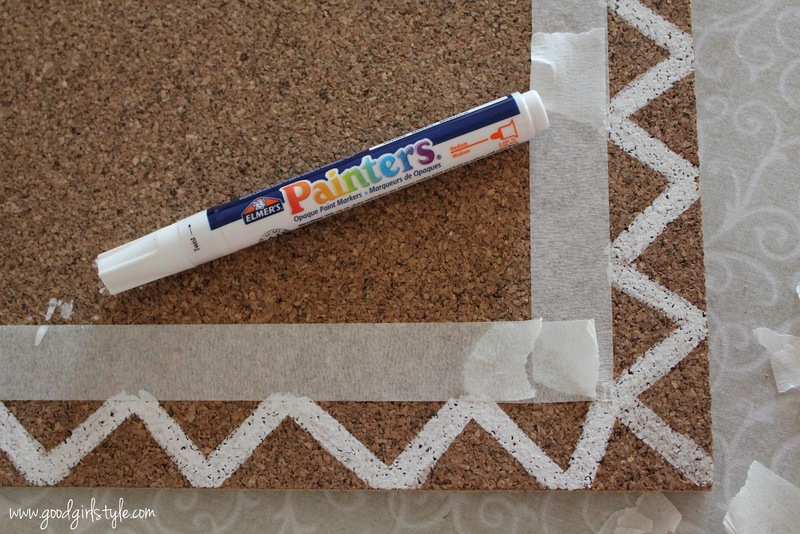 Use masking tape to tape off some lines for your border. I made my border 1" all around. 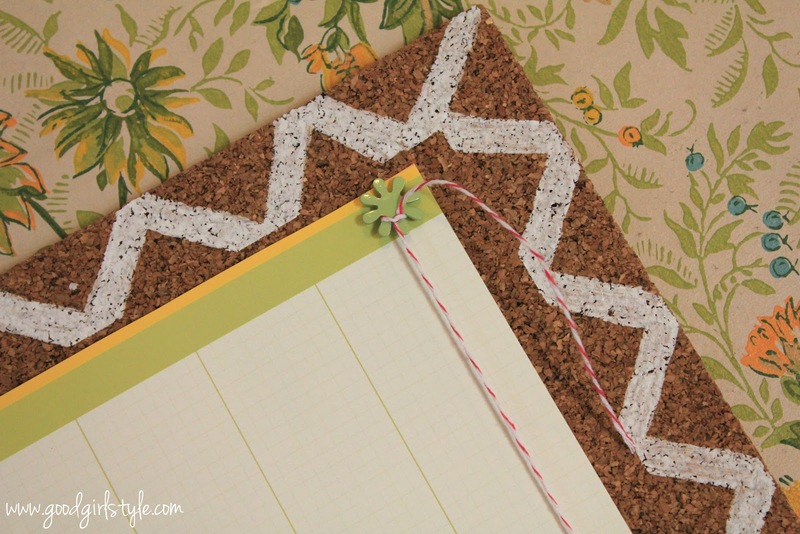 Then, I freehanded my chevrons with a simple white paint pen. It's a good idea to let this dry outside, as those paint pens aren't necessarily good for the brain cell count...y'know? When it's dry, you can use it to pin up pictures, inspirations, or a calendar page. 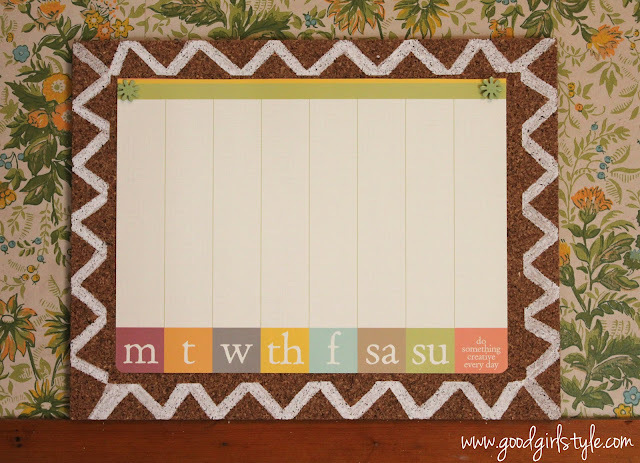 I love, love, love this perpetual calendar that was gifted to me, and thought it would be a perfect way to organize my week at a glance. 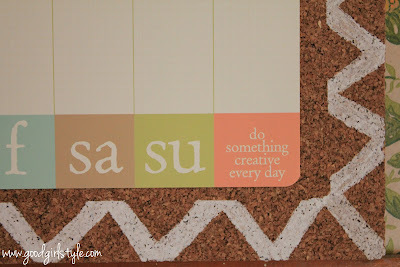 "do something creative every day" ~ Great motto! Cute flower thumb-tacks, with twine attached to my pink pen so I can keep track of all of my upcoming events! And "all of my upcoming events" are a LOT, so it's a good thing I'll be organized! Whatever happened to that whole "lazy summer" idea? !